Looking for research that can help with urban water management? Want it to be reputable? And easy to find? The answer is WRAP. The Department of Environment, Land, Water and Planning (DELWP) recently commissioned an IWM Tool Scan to provide an up-to-date portfolio of tools available to assist practitioners with IWM project planning and delivery. Clearwater has partnered with the Water Services Association of Australia (WSAA), to make the information in the tools scan available through their online Water Research Access Portal (WRAP), providing a one-stop website for planning and implementing IWM projects. 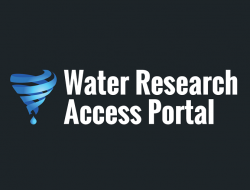 The Water Research Access Portal (WRAP) brings together a number of best-practice resources that practitioners can access in a comprehensive, user-friendly format. It aims to make information readily accessible to the water industry via a search functionality built on themes of national importance. The portal provides a single, easy to use gateway, and the resources are reputable and peer reviewed. Integrated Water Management Framework for Victoria aims to help government, the water sector and the community to work together to better plan, manage and deliver water in Victoria’s towns and cities. It outlines how greater community value can be delivered by consistent and strategic collaboration within the water sector. Hydra, DELWP’s collaborative, web-based mapping tool, allows authenticated users to add and share information about existing IWM projects and case studies, and will be a useful tool through the IWM forum process. Economic Evaluation and Cost Allocation Framework provides a robust method for evaluating the costs and benefits of a project. Green-blue Infrastructure Guidelines, jointly presented with the City of Ballarat, is a how-to guide for planning urban greening and enhanced stormwater management. It will assist cities and towns in planning for increased presence and effectiveness of green-blue infrastructure in urban areas. Urban Forest Guidelines, a component of the 202020 Vision (20V), will assist councils in the development of their own strategy for urban greening. Preliminary Assessment Method Guidelines provides guidance on shortlisting options, brings together lessons and data from previous IWM strategies, and outlines a methodology framework to aid shortlisting in a time-effective manner. WRAP is a collaborative effort by a number of Australian research centres, government agencies, and industry, and is managed by the Water Services Association of Australia. To explore IWM resources on the Water Research Access Portal, visit http://www.waterportal.com.au/ and save it in your favourites to keep up to date with new material.